Checking the Score is a feature about video game music, composers, musicians and tools of the trade. 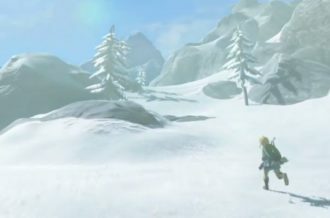 In most cases, video game soundtracks often follow one of either two principle guidelines when it comes to the structural and instrumental make-up of the compositions on show. 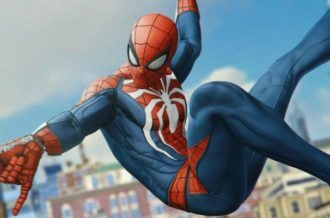 They can either incorporate a wide variety of tonal and timbral sources in order for the soundtrack to cover more than one pre-determined base. Or, they can opt instead to predominantly focus on that solitary territory, but as a result explore the qualities instruments associated with that genre/theme, can invoke. The output might feel chalk and cheese, but synthetic, electronic soundtracks actually share a lot in common with traditionally orchestrated and conducted ones for this very purposeful reason. Sure, any instrument can be synthesised nowadays – making my point about the organic and the synthetic, between humans and computers, near-enough moot – but regardless if what’s played is being commandeered by a musician or a computer DAW (Digital Audio Workstation), the one behind the OST has that most critical of decisions still to make: focus on a singular objective, or multiple at once. This idea, of course, goes beyond mere instrumental count and regardless if the array of sound sources are single-digit, double-digit or something else more profound, music has to as much encompass as it should reflect the ongoing state of play during the game’s evolving status. Whether or not Jonathan Geer, the man behind D-Pad Studio’s universally-acclaimed Owlboy released earlier this month, had a greater challenge to meet head-on given the game’s lengthy, near-decade development cycle, remains unclear. 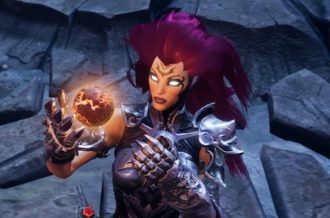 Would it have even affected the soundtrack’s eventual content and in-game progression? 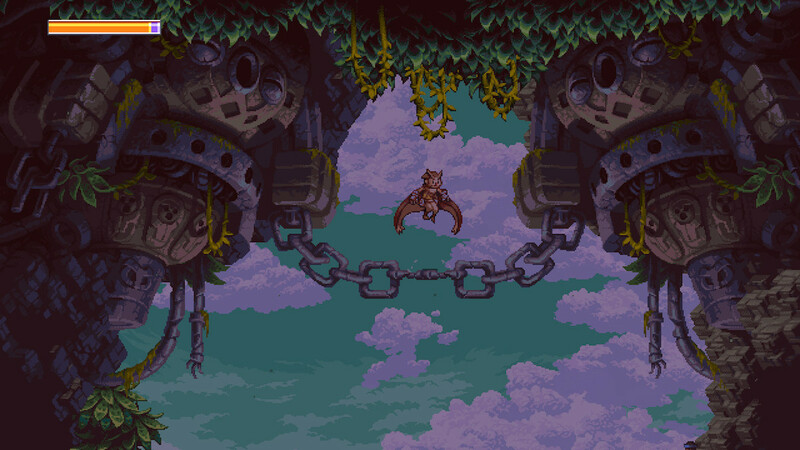 Regardless, if we’re to look at this from the “which decision did Geer pick” mind-set — as mentioned at the beginning — it’s clear that Owlboy’s sound though centres on a multitude of themes; mystery, discovery, curiosity, anxiety…most of the instrumentation on show here can be classified as traditional. Or at they very least, non-electronic. For most of the soundtrack’s ninety-plus minute run-time, Geer’s focus appears to be on a slower, ambient-esque, though far-from-undercut delivery of emotion. Though offering enough melodic phrases to be disregarded as merely drone, though not quite as rhythmic by contrast, Owlboy’s sound captures the game World’s naturally auspicious yet mysterious air with a near-avoidance of signature-focused rhythm or groove. Be it the stretched delivery of strings, the careful placement (and indeed varied use) of percussion or the emphasis on woodwind instruments providing lead arpeggios from time to time, the music — like the game World — is awash with an atmosphere and state of mind that is neither comforting nor discomforting. There’s a keen emphasis on music almost overwhelming the player with its surprising intensity and sheer scale, a reflection perhaps of the on-screen action itself — characters but mere specks in an otherwise grand World that far eclipses them. As someone hailing from as much a fondness for music as much games, a quick rustle through the brain tosses up thoughts of experimental and ambient-leaning musicians focused less on how many notes fill up a bar and explore instead the emotional weight and very scale sound in of itself (organic and synthetic alike) can often become in an abstract sense. A “few” fond name-drops: Nils Frahm, Max Richter, Sigur Rós, Julianna Barwick, Olafur Arnalds; there you go, freebies from yours truly. 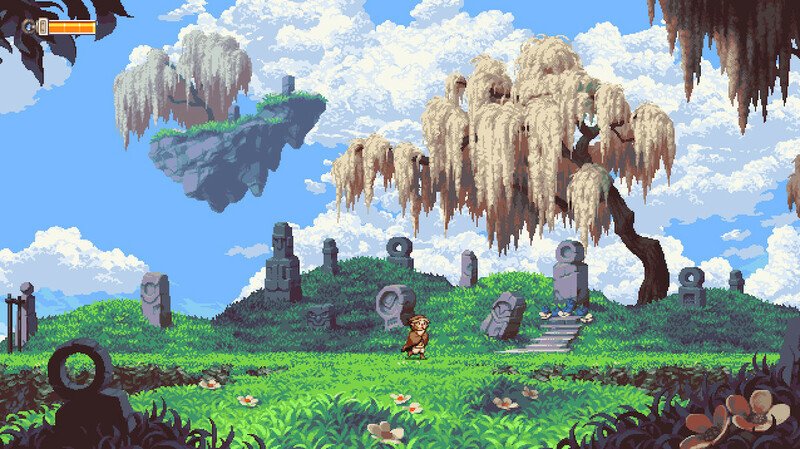 But it would be foolish, with all Owlboy’s virtue, not to mention the soundtrack’s occasionally retro-inspired and chirpier compacted uplifts that swan in from time to time to add much-needed breaks between the [unbeknownst] rug-pulling and the steadily-building that each new setting brings. These pieces, brief and a little giddy in their somewhat optimistic tone, do at least provide an interesting electronic tinge to Owlboy’s mostly traditional orchestration. Amidst the tension and the objectives, the fact there is a bit of an unyielding spark, a charismatic energy to be discovered, could again reinforce the juxtaposition of scale and the contrast between the characters on show and the enormity of the sky World, the task, slowly unravelling itself. 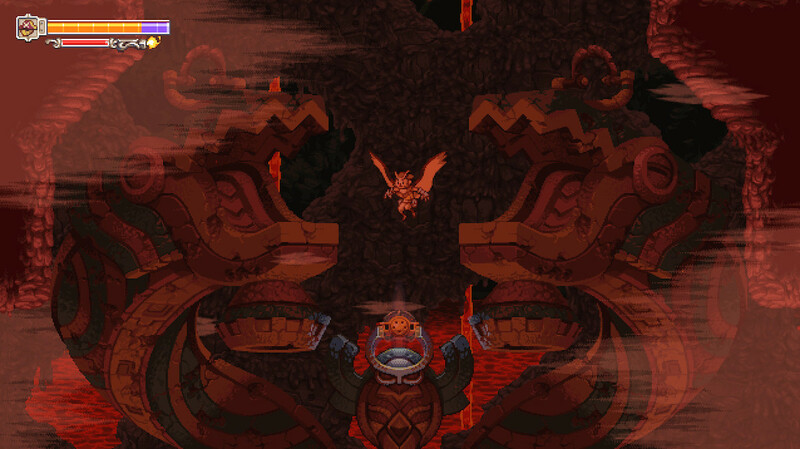 But aside from such moments, Owlboy’s music rarely deviates from (or fully takes its eye off) the need to make its environments feel anything but ordinary in both stature and initial discovery. The emphasis on chords as opposed to note-led passages means that the music, though not quite leaning fully into ambient territory, does mean that personal engagements (such as gameplay control) are left to break apart these segments rather than stand equally alongside. It’s an interesting direction to take for the general content on offer – and one that, based solely on the music of my personal favourite games, is a philosophy I seldom find in a video game or seldom find work wholly successfully for a 2D-limited, pixel and sprite-orientated title such as this – but what Geer does brilliantly at is understanding that to invoke even the most basic of emotions…let’s say, curiosity…in context, curiosity for a specific locale, sometimes the mere presence of a violin or a flute or even the hand-beaten hit of a drum does enough to at least instigate such reaction. 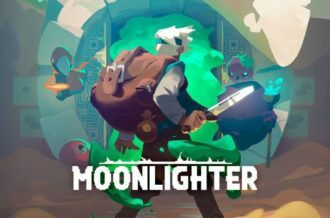 For those who are more a kin to short-term, lyric-fronted tracks or OST’s that intend to pack as much melodic punch — dragging the listener’s ears from one idea to another — may be put off by Owlboy’s fixed stance on this more slow-burning emphasis on atmosphere rather than dynamics. There are of course the mid-battle jingles, but the strengths (away from how good the game itself is, obviously) lie mostly in its traditional instrumentation. 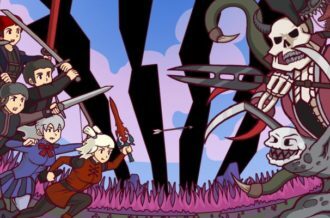 An instrumentation that, though may not have the greatest notation count come the end credits, lends itself to the emphatic mystery of Metroidvania’s and World-building games before it. And Owlboy, via music and gameplay alike, is just one more great to add to both of those sub-genres. 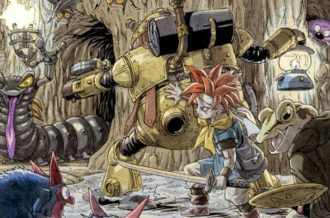 To dive even deeper into the wonderful world of video game OSTs, be sure to read our complete Checking the Score series.